How many times a day should I feed my dog for its healthy development? Most people recommend feeding dog twice a day, once in the morning and once in the evening. I prefer three times: 8, 3 and 8. Puppies under five months of age should be fed three to four times a day. Having regularly-scheduled feeding times not only establishes routine but also helps you monitor your dog’s health. Can I feed my dog with sweet and sugary substances? Is it bad for its health? Or is it just a myth? Candy, gum and baked goods are sweetened by xylitol. It can cause your dog’s blood sugar to drop and even cause liver failure. Early symptoms are lethargy, coordination problems and vomiting, which are followed by seizure and liver failure. The darker the chocolate and the smaller the dog, the more dangerous the combination. Chocolates have a toxin, theobromine, which is extremely dangerous for a dog. Even “sugar-free” gum, candy or cough drops have xylitol, which can be deadly for the dog. Sugar is neither good for people nor dogs. So, an occasional mithai or milk kheer is alright but don’t feed sugary substances regularly. Is it important to get my pet dog sterilised? Spaying helps prevent uterine infection and breast cancer in female canines. It prevents female canines to go into heat during breeding season. Otherwise there will be blood in the house, and an excitable dog. You will not be able to walk her without males coming and fighting. 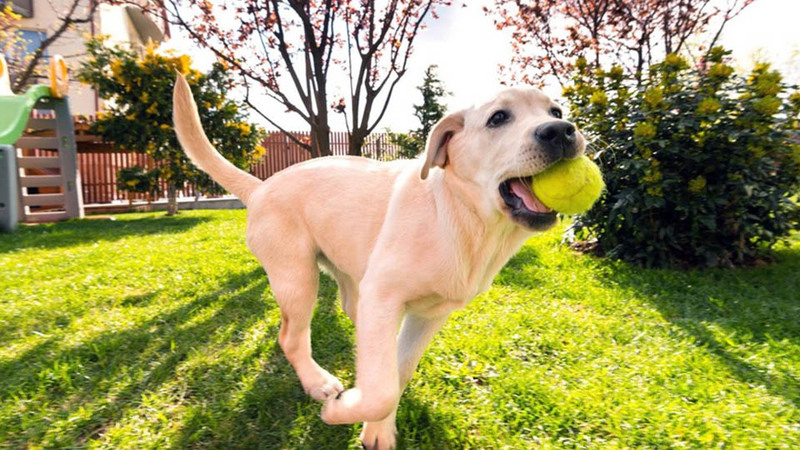 Spaying helps prevent testicular cancer in male canines. Spayed male dogs are less aggressive and better behaved, since hormonal protective instincts are removed. It is cost effective because the cost of spaying is less than nurturing a litter. Finding homes is a nuisance. And for every home you find, a dog on the street is left abandoned. Spayed dogs live longer and healthier lives. My dog is constantly salivating. Is it true that dogs sweat by salivating? Or is it just a myth? Too much drooling or hypersalivation, can be a sign of an illness. It could indicate a mouth disease, a painful tooth, heat stroke or motion sickness. Heat release occurs in a different way in dogs. The primary method that dogs use for cooling off is panting. This allows moisture on the tongue to evaporate, which helps the dog to manage a significant cooling of its body temperature. Another method is vasodilation that involves dilation of blood vessels. They are capable of sweating a little through paw pads as well. My puppy has been sleeping more hours than the usual. Is it normal for a dog pup to sleep 18-20 hours a day? The average dog sleeps 12 to 14 hours per 24-hour cycle. Puppies, who expend a lot of energy, tend to sleep for 18 to 20 hours. Older dogs also tend to sleep a lot. Breeds like St. Bernard and Newfoundland naturally tend to sleep a lot. Dogs are regular, but flexible, sleepers. They can pop into action when required. The thing that might be a worrier could be a sudden change in the sleeping pattern. These changes could be caused by a low-quality diet, aging, or poor health. I have a dog with long toe nails. Do long toe nails lead to foot disorders in dogs? Painful feet: When the long nails touch the hard ground then it either puts pressure on toe joints or forces the toe to twist to the side. Long toe nails can lead to a change in a dog’s posture. Long nails can chip and break that can be very dangerous for a dog. What cause Pica in dogs? Pica in dogs refers to the dog’s craving for eating non-food items like rock, dirt, faeces etc. You may observe the dog eating dirt, clay, rocks, soap, or other items that can endanger the dog’s health. You may notice that the dog is vomiting, has loose stools, or has diarrhoea. There may be weakness and lethargy in the dog. Sometimes dogs will eat their faeces if there are undigested articles of food in their stool. Mothers with newborns will also commonly eat the faeces of their newborns. Medical Causes: • Inflammatory bowel disease; • Diabetes; • Anaemia; • Increased hunger; • Neurological disease; • Vitamin deficiency; • Thyroid disease. Treatments: 1. Limit his access to the rocks. Sometimes it is just impossible to avoid rocks altogether, but try to supervise your dog when they’re around. 2. When you catch your dog eating rocks, distract him from the rocks and redirect his attention to something safe or fun, like playing fetch or chewing a safe toy. 3. Check your own schedule. Is your dog left alone much of the time? Perhaps, all you need to do is to spend more time with him; 4. Keep many chew toys on hand, and rotate them every couple of days to keep him interested.